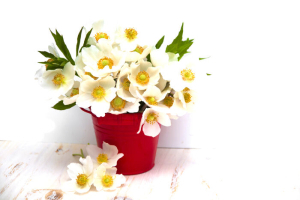 What Does the Anemone Flower Mean? 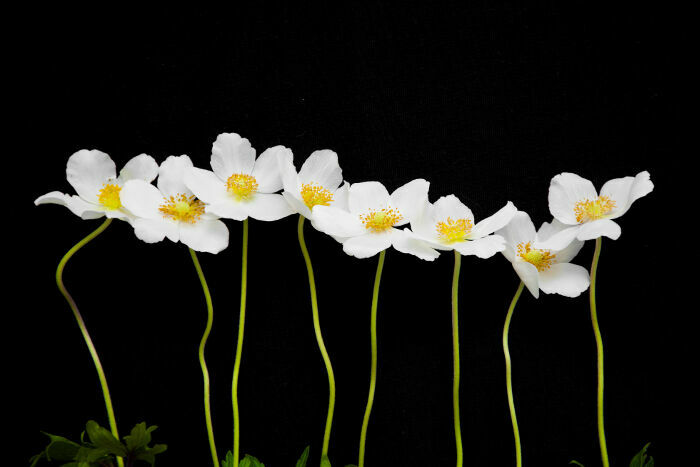 Despite its delicate beauty, the Anemone has developed a mixed set of meanings depending on the culture viewing the flower. Some see it as protection against disease, while others feel the opposite way and warn against it as an omen of impending illness. An entire genus including 120 different species is all included under the scientific name Anemone. 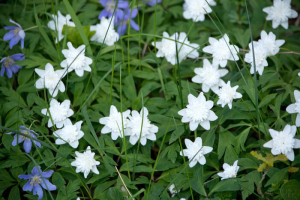 These flowers are also commonly called windflowers, and this second name is derived from the etymological meaning. Anemone comes from the Greek word of the same spelling, which means “the wind’s daughter”. It is the combination of anemos, the word for wind, and the suffix -one, which indicates a female offspring or daughter. 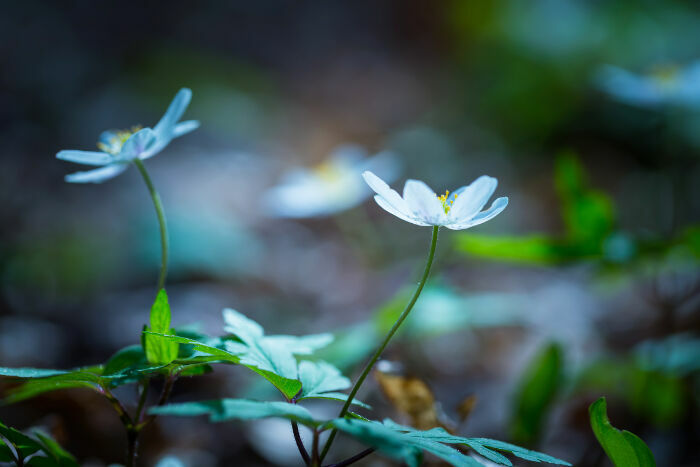 It gained this name because of myths involving the Greek gods of the four winds, but the meanings of the flower are also tied to the story of Adonis and Aphrodite. The Goddess of love kept Adonis as her companion for too long and the other gods killed him, so she wept over his grave and her tears for her fallen love grew into Anemone flowers. The Greek myths lend the Anemone flower dual meanings of the arrival of spring breezes and the loss of a loved one to death. The Victorians took a slightly different slant on the loss embodied by the flower and used it to represent a forsaken love of any kind in their intricate Language of the Flowers. Chinese and Egyptian cultures considered it a symbol of illness because of the coloring, while European peasants carried them to ward off disease. 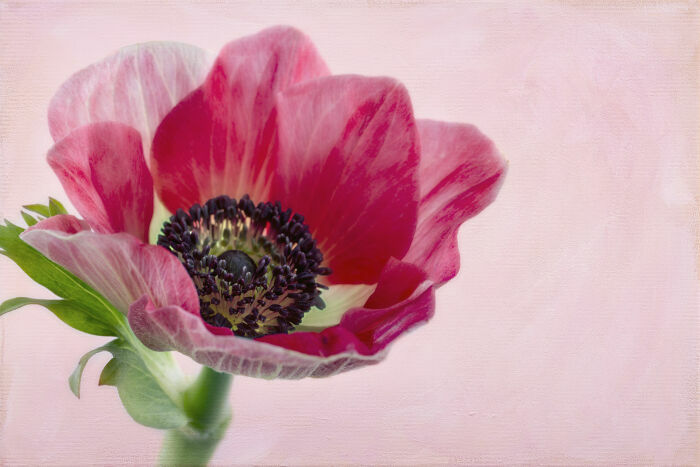 The flower’s natural reaction of closing up at night and opening for the morning means it symbolizes anticipation for something soon to arrive. It’s a symbol of bad luck to many Eastern cultures, but Westerners tend to see it as a protection against evil and ill luck instead. 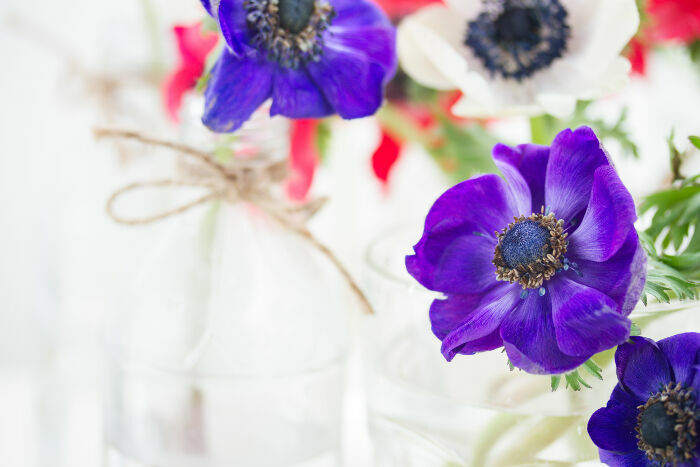 Anemones come in all sorts of shades, so consider the distinct color meaning too. Red and pink blooms tie in strongly with the forsaken or dying love themes. White Anemones also mean death and bad luck in Eastern cultures where white is the color used at funerals. 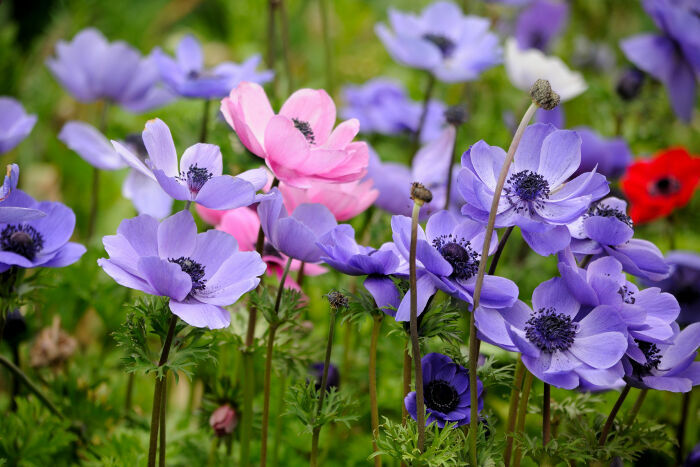 Purple and blue anemones are also common and fit best with the anticipation and protection from evil meanings. While medieval herbalists put this flower to use for treating headaches and gout, it is rarely used in modern times because all the varieties are poisonous in varying degrees. 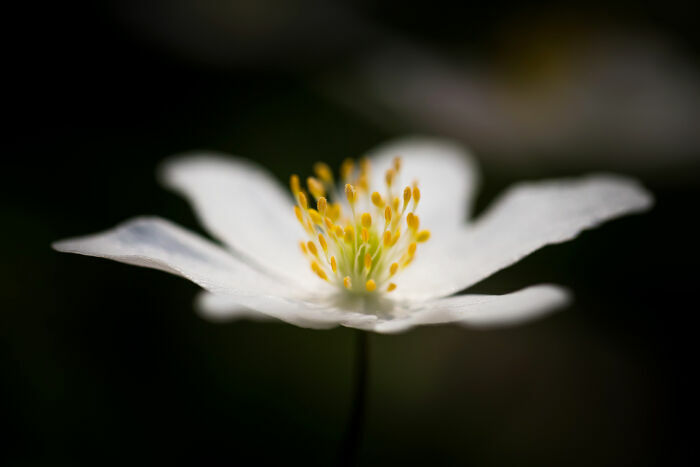 The common European wood Anemone, a white version with a much smaller bloom than its developed counterparts, is still taken by some people for gout, stomach pain, and asthma. 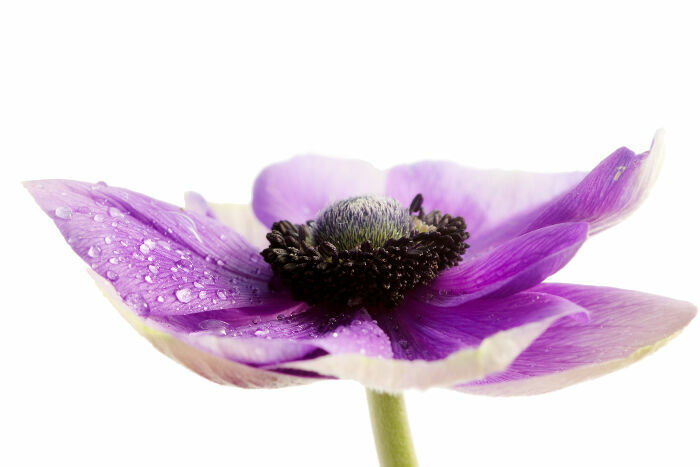 The purple blossoms yield a light green dye when boiled and mordanted that can tint Easter eggs and wool yarns. Look forward to the future and don’t forsake the ones you love. Something new is always around the corner, no matter how dark things might look right now. Delightful pictures !! .. 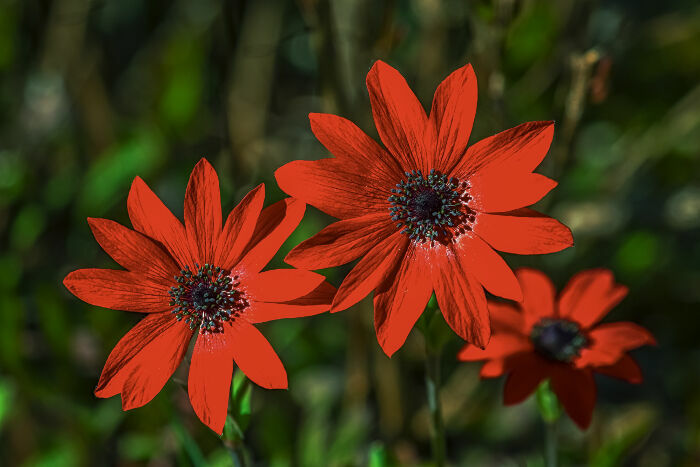 The pictures of anemone is eye soothing and also the collection of pictures is good.Have you studied a lot on Anemone flowers ?? Can I freely use the pictures? My daughter is Leona and her flower is anemone. I was so delighted when I discovered this association. I would like to know how I can cite this website in an academic piece. I need the year it was published and the author’s name, please!